You can search for vacancies based on location and by field. We're seeking for a Support Engineer to join our ongoing quest to create the most epic and innovative sales management solution around. We’re looking for a Product Manager to join our journey of building the most epic sales software around. We’re looking for a go-the-extra-mile, pour-your-heart-into-it, happiness-delivering kind of customer solutions expert to join our support team in Lisbon. Looking for a great Back End Developer to our awesome Lisbon office! We’re looking for a DevOps Engineer to team up with our awesome DevOPS tooling tribe. We’re looking for a Sales Consultant to join our team in New York. Do you know how to figure things out and how to put things in order? Are you passionate about numbers? We are looking for a colleague for our global finance team! We’re looking for an experienced product manager to join our newest office – Prague – to tackle the challenges of sales teams and help them succeed. We’re on the lookout for a researcher to dig deep into the needs of our customers and help us design an even better product. You're passionate about iOS development and curious about other technologies. You know Swift and Objective-C. You value people over machines, working product over the pretty code and effective solutions over workarounds. If you love hunting bugs and testing apps, then we’ve got just the thing. We’re searching for a mobile quality engineer to ensure our app’s users get a five-star experience. We’re looking for a Software Engineer to drive forward the architecture of our core internal systems and the development and support of our libraries. We’re looking for a super organised, happiness-spreading kind of person who will play a big role in creating an awesome environment in our brand-new office. If you have a passion for user-centric design, keen attention to detail and love working with a motivated team, we’ve got something for you! We’re looking for an eagle-eyed compliance management officer who will contribute to regular updates to supervisors and staff about compliance issues and findings. This role is within our ever-diligent information security team in Tallinn. We are looking for a senior PHP engineer who can drive forward the architecture of Pipedrive core internal systems and develop libraries used by our engineering staff. If you have a passion for user-centric design, design systems, a keen attention to detail and love working with a motivated team, we’ve got something for you! We’re looking for a web publisher to help create and manage Pipedrive’s web assets on our content management system (CMS). We’re looking for smart, passionate, and capable software developers to join our team in Tartu who are open to the idea of switching teams and projects as our fast-paced business grows and evolves. We’re looking for a back-end whiz to our Tartu office with skills that leave people in awe to join our team and work with experienced engineers, devops and product managers in a challenging startup environment. Everybody believes their company is a great place to work, but we actually have several awards to back our claims. 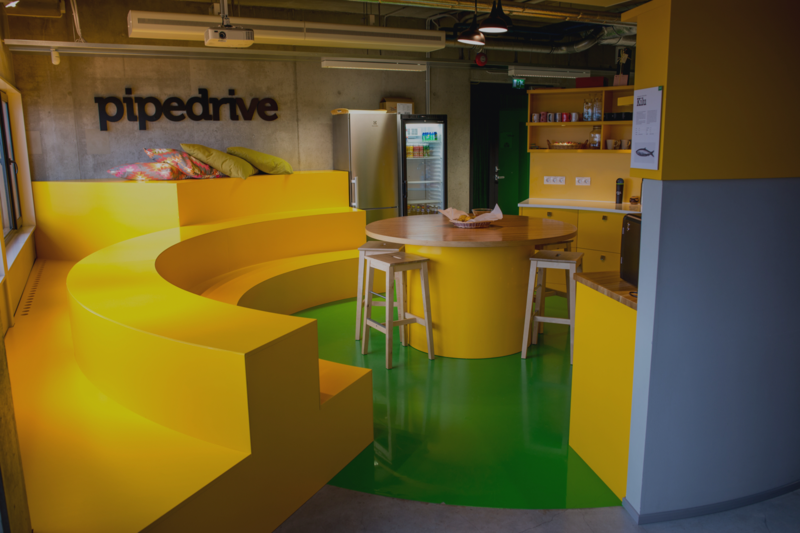 Pipedrive was named the Best Employer in Estonia in 2016, and Best Enterprise SaaS B2B Startup by The Europas in 2015. While we obviously place a premium on skills and qualifications, it is equally important that potential employees share our core value: Don’t spoil someone else’s day. We believe that it takes great people to deliver a great product.